I have recently got back from a week in Lanzarote with my boyfriend. I had an amazing time and I will tell you alllll about it soon. 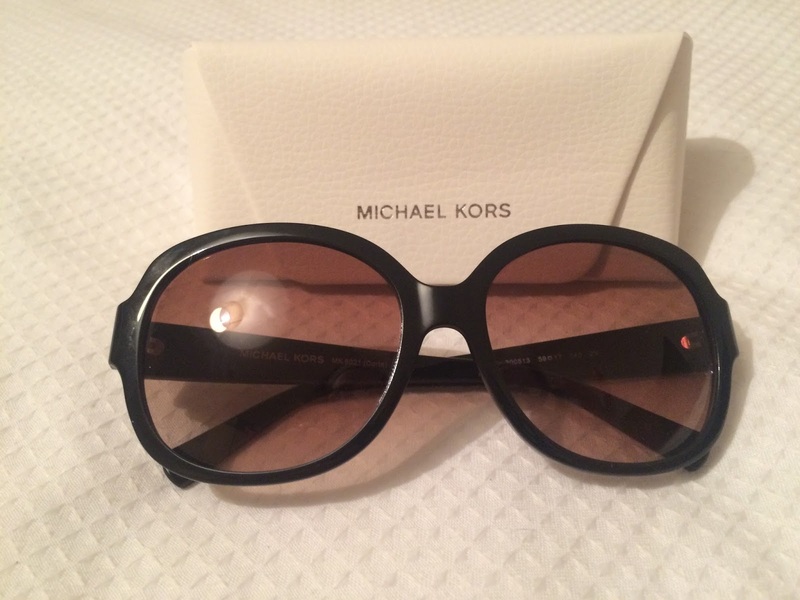 Today's post is all about my holiday essentials. The few items that I can not live without when I go on holiday abroad. First of all are my sunglasses If you read my recent Weekend Sale Finds post, you will have read that I purchased my Michael Korrs sunglasses at Bicester Village. I love sunglasses! I think they make everyone looks great and I took every opportunity I had to put on these glasses in Lanzarote. I also do not want wrinkles from squinting in the sun! I also need some good suntan lotion. 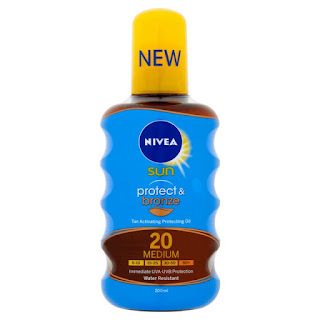 I love the Nivea Sun Protect and Bronze range which has a built in tan activating protecting oil. I have very pale sensitive skin so I usually wear SPF 20 so I don't burn. It takes me a lot longer to tan than most people but at least I won't have damaged skin from the sun. However, if you read my lastest skin update post you will have seen that my skin didn't exactly react very well to my suntan lotion. Think I will need to be finding myself a new one for next summer. I always need some reading material for the plane and the beach/pool. 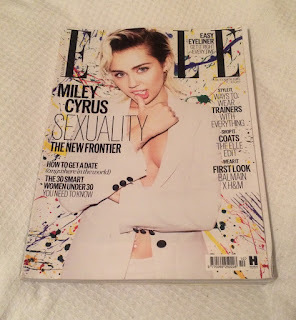 This year I didn't take any books with me and just took the October 2015 issue of Elle magazine, to spend my time dreaming of all the clothes I desperately need in my life. When I am not reading, I love nothing more than just lying in the sun listening to music on my iPhone. This is where my earphones come in. I downloaded lots of new songs for my phone in readiness for my holiday to enable me to have a good sing song in my head whilst catching some rays. For the first time ever, I also downloaded some TV shows for my phone, to occupy me on the plane. I am so angry at myself for not thinking of doing this before. Watching Made in Chelsea made my 4 hour journey fly by. No pun intended. To carry all of this, you need to have a good beach bag. 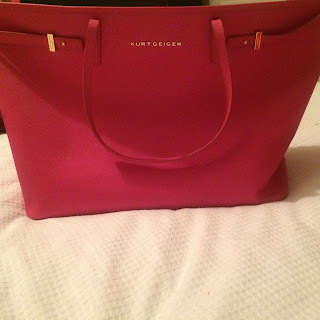 I have a bright pink Kurt Geiger back which matches my bright pink bikini from Boux Avenue. It is a big bag so it fits everything I need to carry around with me all day, even my towel. I purchased this from Shoeaholics which you can purchase in peach or yellow here. 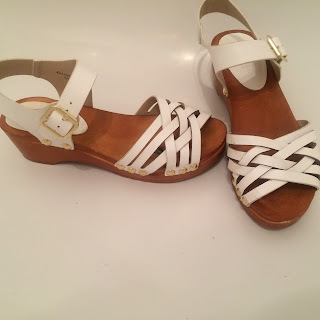 I always like to have some comfy shoes to walk around in for the day and I love these white sandals from Topshop which were only £28.00. They are so comfy and look great with a pair of denim hight waisted shorts. 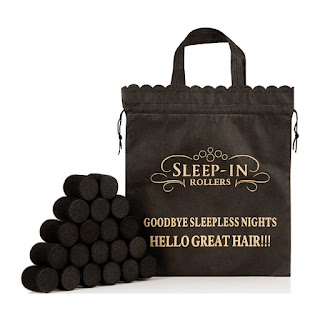 It is always beneficial to take a few sleep in rollers with you. Even though the second my hair hits humidity I end up looking like Monica from Friends in Barbados, it still seems to go flat on top. I hate my hair flat and want as much volume as possible. That is why I pack 6 sleep in rollers with me when I go away. I put them in whilst I get ready, give them a quick blast with my hair dryer before I take them out and my hair has some volume at the roots. The rollers are currently on offer for only £16.16 here. 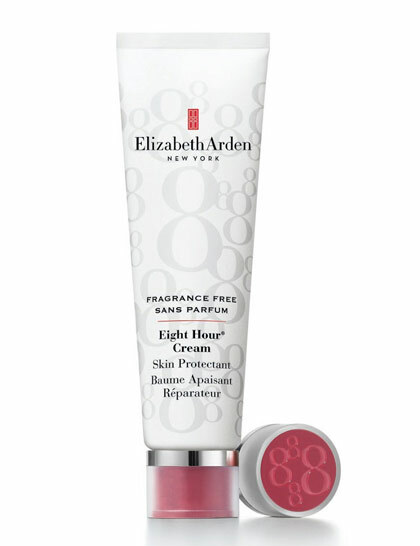 The one item I literally could not live without on holiday is my Elizabeth Arden Eight Hour Cream. It is MAGICAL. If you want to see my review on this product, have a look here. What can't you live without when you go on holiday? Your blog is so beautiful!! 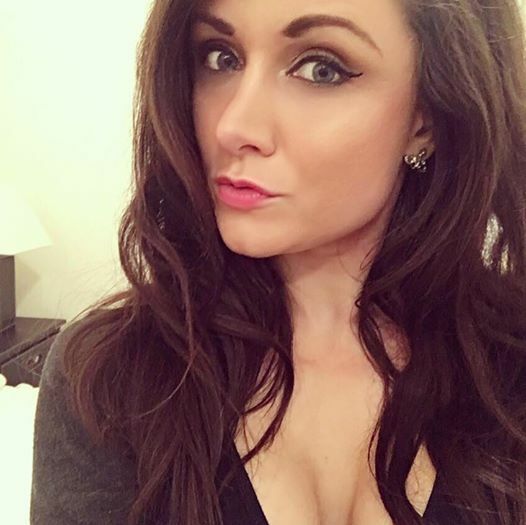 You always have amazing blog post !! keep up the great work !! Sunglasses for sure! I've forgotten mine on 2/3 occasions and been so annoyed at myself! That bag and glasses are so pretty! A holiday essential for me is definitely sunscreen (if its a sunny, warm place) a good purse and my camera!! Great post. I think downloading shows and putting them onto a device are the most important part for me, haha. Reading material, too, are an essential for me! Sunglasses and earplugs when I stay in a hotel. And my iPad which doubles up as my eBook reader! Love your bag :) i hope you have an amazing holiday! That is the most gorgeous beach bag!!! My kindle and a lip balm!! Lip balm is a must! The Protect and Bronze range is my holy grail sun cream I don't use anything else when I'm on holiday, it actually does make you tan faster! I am so jealous you have them Lauren! Hi hun, LOVE IT! Great Post. I totally love the Kurt Geiger bag and the sandals! !